Move over, Hillary Clinton. Now that Bernie Sanders has entered the 2016 presidential primary, Clinton is no longer the only Democrat campaigning for women. Sanders, the Independent senator from Vermont who is often described as the most left-leaning senator, is also very pro women’s rights and gender equality. And, as most might expect of the liberal Democratic candidate, Sanders' opinions on abortion are that it should be a decision made by a woman, not the government. We are not returning to the days of back-room abortions, when countless women died or were maimed. The decision about abortion must remain a decision for the woman, her family, and physician to make, not the government. The National Right to Life Committee (NRLC) gave Sanders a 0 percent rating, while NARAL Pro-Choice America gave Sanders a 100 percent rating. According to the website LifeNews.com, Sanders has a 6 percent pro-life voting record. Out of 101 votes on issues concerning the abortion debate, Sanders has only voted in line with pro-life supporters one time, when he supported a ban on human cloning. However, on every other vote, Sanders has remained staunchly on the side of the pro-choice. He has voted “no” on banning family planning funding in U.S. aid abroad, on banning partial-birth abortion, and on funding health care providers that do not offer information on abortions. Sanders is more focused on protecting the rights of women, as opposed to protecting the rights of their unborn child. Rather than focusing on the issue of abortion, Sanders places his attention on prevention, education, and the accessibility of contraception. He has co-sponsored a bill to ensure access and funding to contraception and another bill to protect women’s reproductive rights. 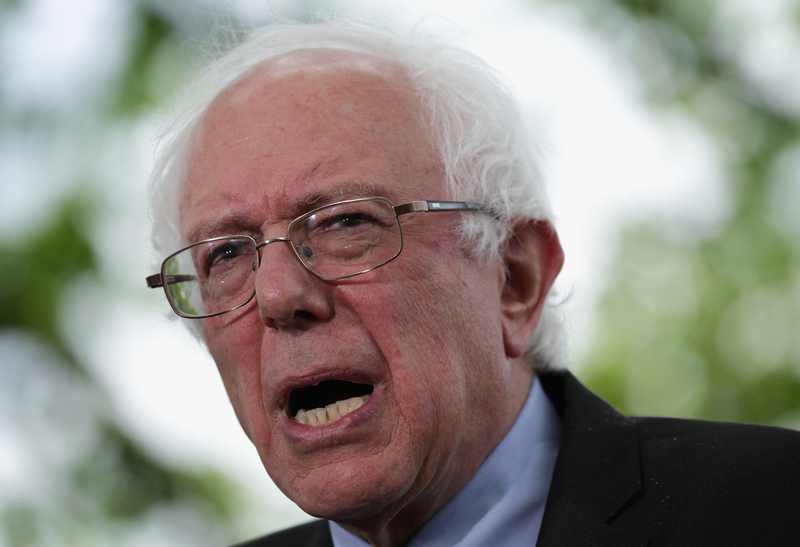 Sanders' staunch position on the issues of abortion and women’s reproductive rights will garner him further points with his left-leaning liberal base. But while Sanders takes a hard line approach on the issue, the rest of America is not so decisive. In fact, according to a poll conducted by Gallup in May 2014, Americans remain almost evenly split between pro-life (46 percent) and pro-choice (47 percent). This even split means that neither side will particularly benefit or suffer from a stance on abortion. While social issues such as abortion may matter, the 2016 presidential elections will be decided by the plethora of other issues currently facing the country.